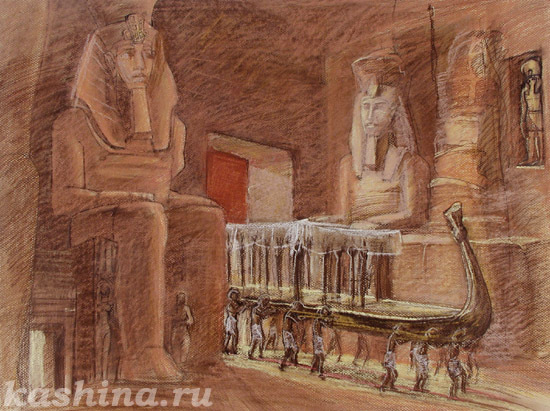 Scenery sketches for a screen version of the novel by Boleslaw Prus "Pharaoh"
Based on David Roberts`s pictures and my own photoes and impressions. 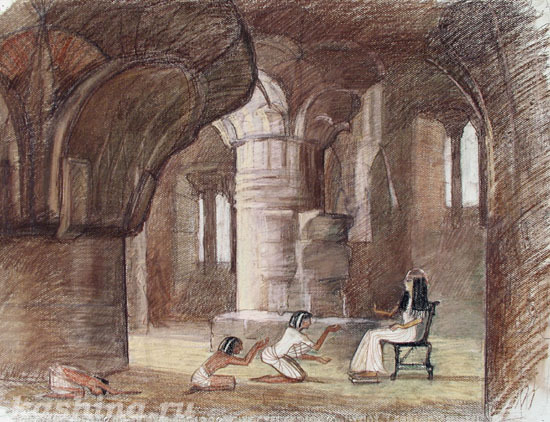 "Egyptian Lady in Her Chamber". 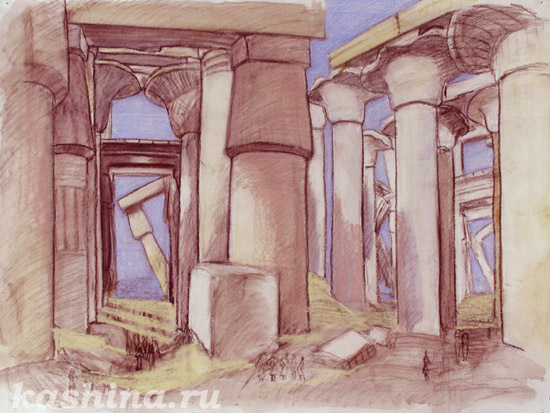 Coloured cardboard, pastel, pencil, 65smх50sm, 2002. 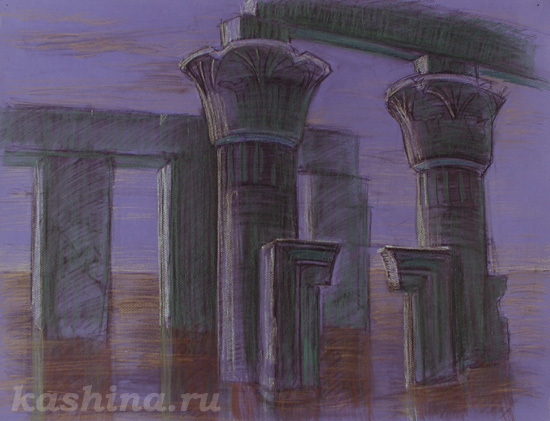 "Silence of the Ancients. 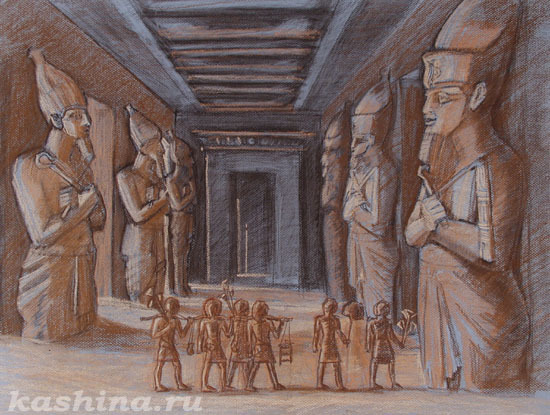 The Great Temple of Rameses II at Abu Simbel." 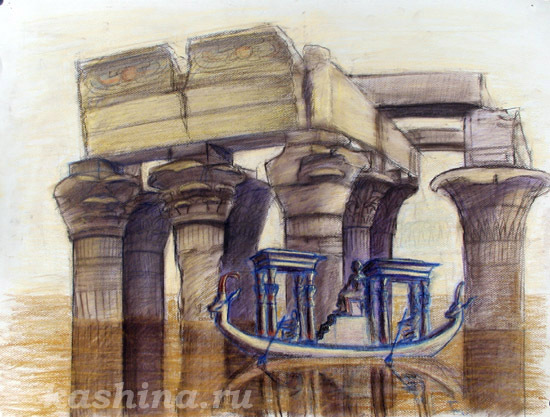 "Boat of the Eternal Life". 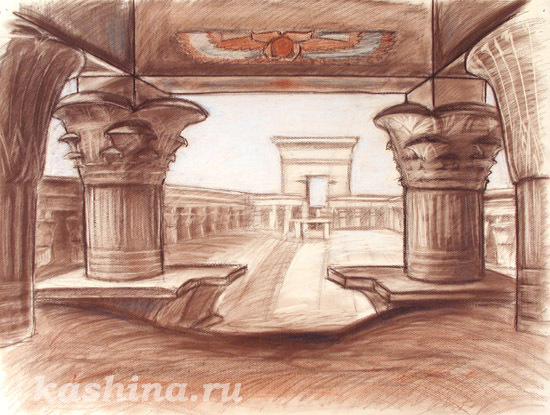 "Dendera. Secret of the Night". 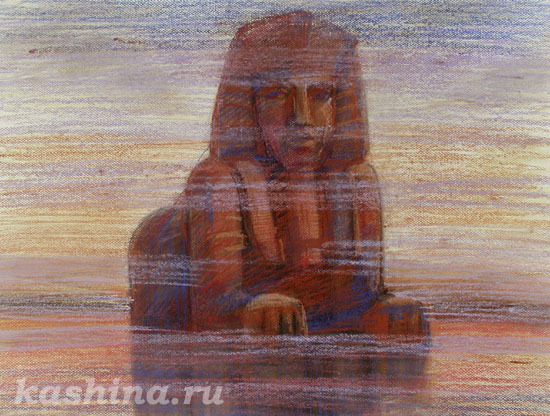 "The Magic Guard of The Egyptian Temple. Temple of Horus, Edfu." "The Pharaoh. 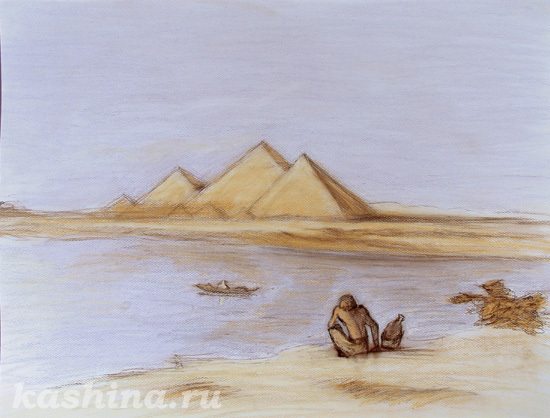 Contemplation of the Grand Pyramids".